Engine: Rover 2.286 litre, 4 cylinder OHV developing 77 brake horse power at 4,000 rpm. 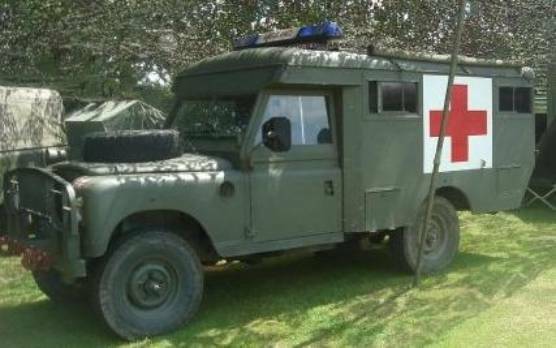 The Land Rover 109 Ambulance was produced at Solihull, as a standard 109 inch chassis with either a 4 cylinder or V8 engine, depending on build order. It was then sent on to Marshall’s Engineering in Cambridge, for the custom ambulance body. The ambulance has a crew of 3, 1 driver and 2 medics, and carries 4 patients in stretchers, or 8 seated patients. Known history of "27 KA 09"
Jun 1982 - In service. Aug 1982 - Allocated to 4 Field Ambulance RAMC, Minden, West Germany. 1985/6 - United Nations Peacekeeping Duties (place unknown). Feb 1986 - Returned to 4 Field Ambulance RAMC, Minden. 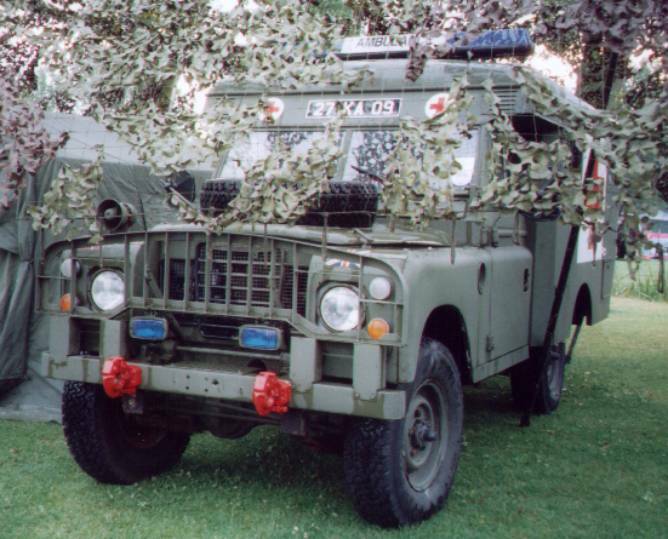 1988 - Re-allocated 9 Regiment, Army Air Corps, RAF Dishforth, North Yorkshire - Emergency lights and crash bar fitted as per Unit standing orders. 1992 Sent for disposal under "Options for change 1"
Purchased from private owner 2003. Engine: Rover 3.528 litre, V8 developing 130 brake horse power at 5,000 rpm. 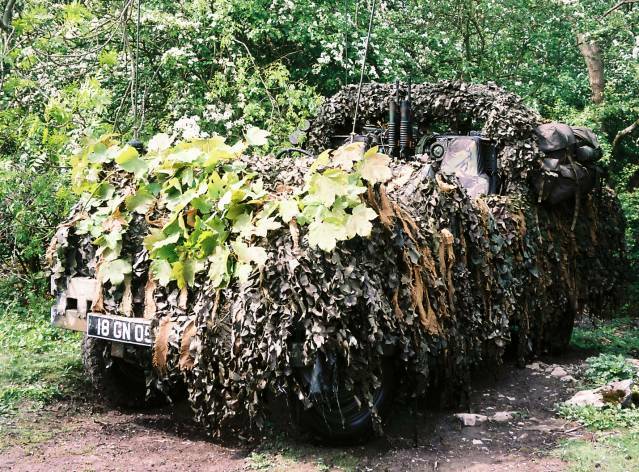 The Recce Rover was usually a stripped down, heavily armed radio vehicle, designed to be lightweight, easily concealed and robust. 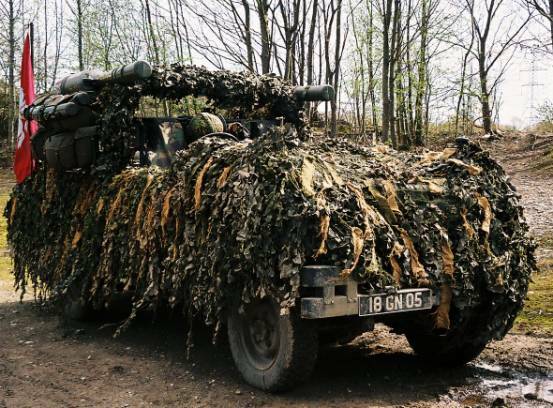 The purpose of the vehicle was to be air portable, and to be used for fast reconnaissance in the combat area, allowing information on troop strength and disposition to be relayed back to command headquarters. Known history of "18 GN 05"
Oct 1976 - In service, allocated Jan 1977 to 9 Parachute Squadron, 36 Engineer Regiment, Royal Engineers, Rhine Barracks, Aldershot. Nov 1997 - Sent for disposal. Jul 2001 - Purchased from disposal agent. Engine: Rover 2.495 litre Diesel, 4 cylinder OHV developing 67 brake horse power at 4,000 rpm. 12v or 24v, depending on unit requirements. Externally, the 110 resembled the Series 3. The general shape was retained, but there were a number of minor changes. The grille was moved forward, allowing sufficient space in the engine compartment for the Rover diesel & 5 speed gearbox. The windscreen was replaced with a taller one-piece windscreen, and polyurethane wheel arches were fitted. Inside, the slide windows were replaced with wind-up ones. Leaf springs were finally replaced by coil spring suspension, and power-assisted steering was added as an option. In 1986 a Turbo-diesel option became available. Known history of "92 KE 48"
May 1986 - In service, allocated 23 May 1986 to 244 Signal Sqn, 21 Signal Regt (Air Support). Jul 1992 - 21 Signal Regiment (Air Support). 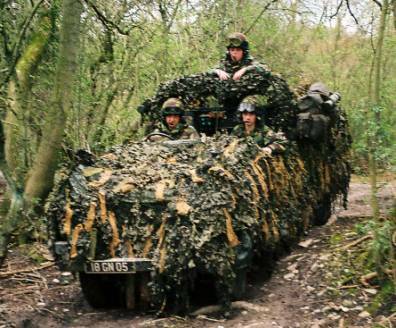 Mar 1998 - UAV Regiment, 32 Regiment Royal Artillery. Jul 1999 - 75 Engineer Regiment (V). Nov 2005 - 2nd Battalion, Yorkshire Regiment. Oct 2006 - Sent for disposal. Known history of "79 KE 26"
Engine: Rover 3.5 litre Petrol, V8 OHV developing 128 brake horse power at 5,000 rpm. 12v or 24v, depending on unit requirements. The production 101" used the LT95 permanent four wheel drive transmission, and Salisbury differentials in both axles. 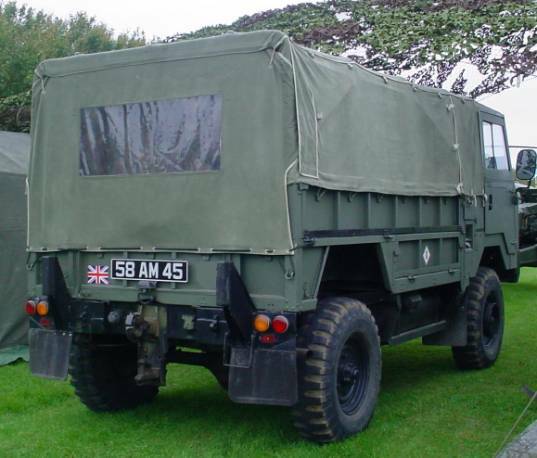 The vehicle was primarily produced to meet the Army's requirement for a gun tractor, designed to tow the L118 Light Gun, with a one ton of ammunition and other equipment in the rear cargo bay, hence the name "Land Rover One Tonne". Training units have also used the 101 to tow the older 25lb field gun. The vehicle was designed to be air transportable, the positioning of the engine beneath and to the rear of the cab, shortening the overall length. The official name of 101 Forward Control is derived from the vehicle's 101-inch (2,565 mm) wheelbase, and the position of the driver, above and slightly in front of the front wheels which used the 9.00 inch × 16 inch tyre. 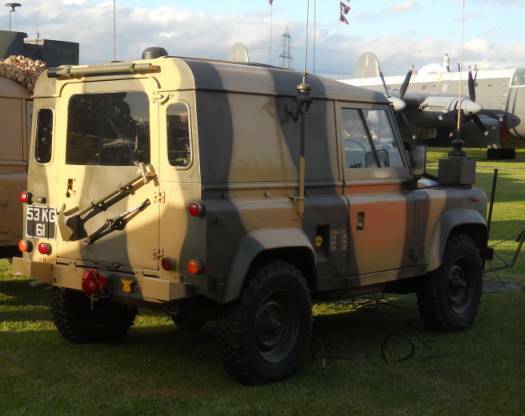 The development of the 101FC Land Rover started in 1967. Production took place between 1972 and 1978, with the vehicle going into service in 1974. 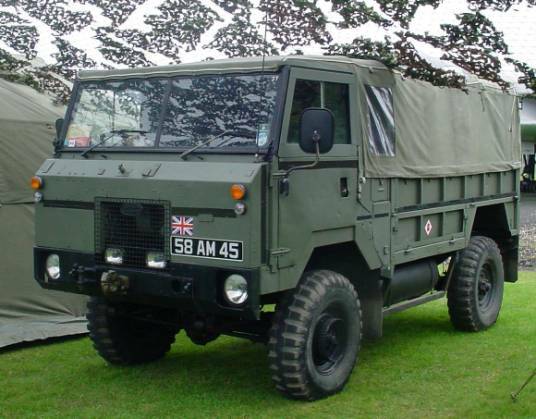 All the vehicles produced at the Land Rover factory at Lode Lane, Solihull were soft top General Service (GS) gun tractors, although many were rebuilt with hard-top ambulance bodies and as radio communication trucks, at Marshall’s Engineering in Cambridge. A variant is the electronic warfare Vampire body. The 101FC was manufactured in both left and right hand drive with either 12 or 24 volt electrical systems. 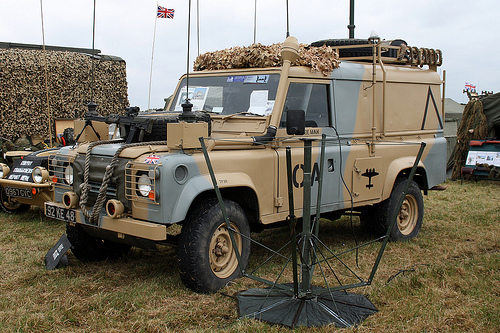 Some 101s were produced with a PTO powered capstan winch mounted on the chassis at the centre of the vehicle, allowing winch operation from either the front or rear. By the end of 1998 the 101FC GS had been withdrawn from service. The ambulance-bodied vehicles were retired in 1999. 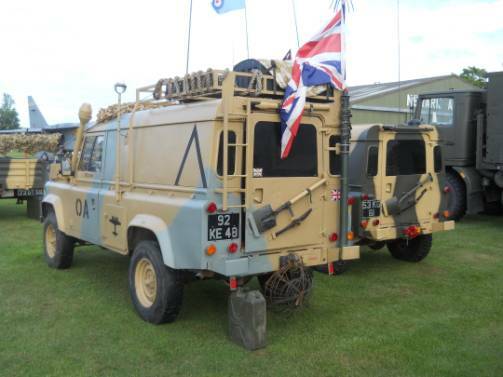 The 101's were replaced with Defenders, Pinzgauer and the Reymolds Boughton RB44, depending on specific unit requirements. 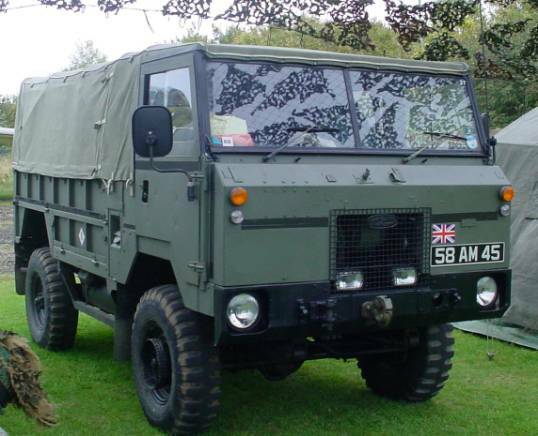 Known history of "58 AM 45"
The Reynolds Boughton RB 44 is a multi-purpose 4x4 light utility truck with a 2.5 tonne payload. It was developed as a private venture. This truck was originally called the RB 510. It was used for a variety of roles, such as troop carrier, shelter carrier, light artillery tractor, or anti-tank missile carrier. Development commenced in 1978. 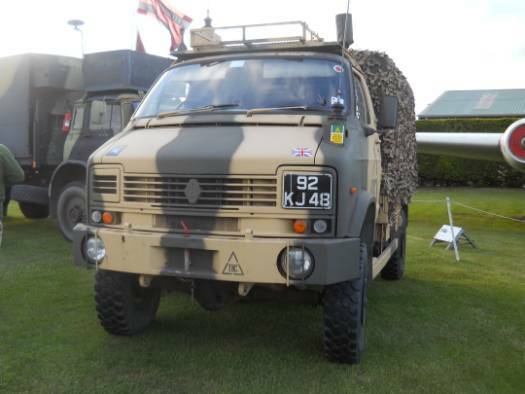 The RB 44 entered service with the British Army in 1989 and deliveries began in 1992. The initial order was for 1000 vehicles, but the final figure was nearly double this. Production ceased in 1993. 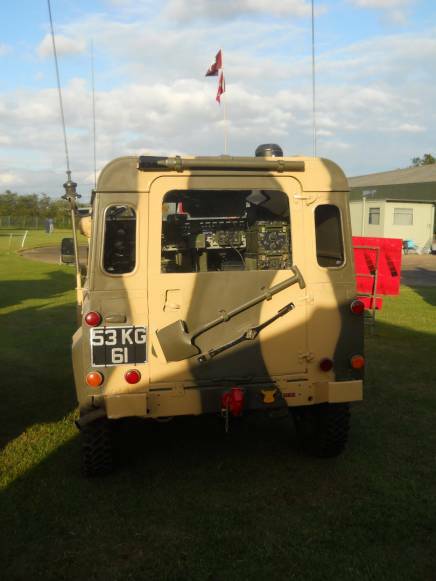 In 2010 it was announced that this utility vehicle was withdrawn from the British Army service. 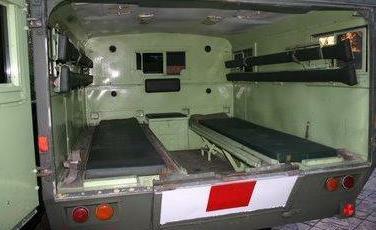 The RB 44 can accommodate various body types or shelters. A standard utility vehicle accommodates 12 troops in the rear. 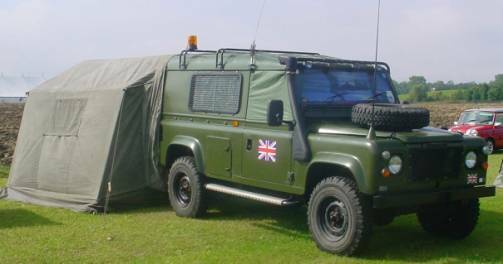 Vehicle has a standard three-seat cabin, however it can be converted to extended cabin in order to carry extra personnel and equipment. 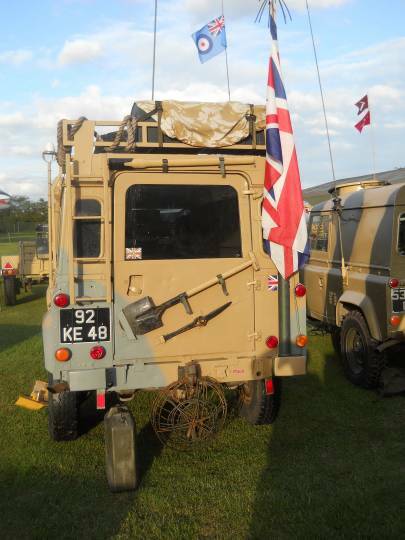 Vehicle can also tow trailers and light artillery pieces with a maximum weight of 2.2 tonne. This vehicle is available with three wheelbase lengths. The RB 44 is powered by a Perkins 110MT 4-litre diesel engine, developing 109 hp. Vehicle has a full-time all-wheel drive. 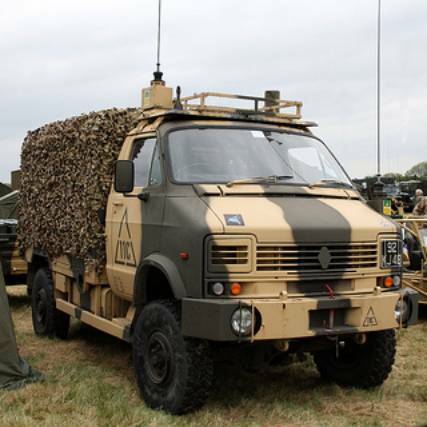 This military truck uses a number of commercially available automotive components. A self-recovery winch can be added. Variants of the Reynolds Boughton RB 44 used by the British Army include general service cargo body, soft and hard top bodies and shelter carrier. The company also developed ambulance, command vehicle and recovery vehicle as a private venture, however these were not accepted to service. Known history of "92 KJ 48"
The Armstrong-CCM company started supplying MT500 bikes to the UK army in 1984, replacing the Can-Am Bombardier. 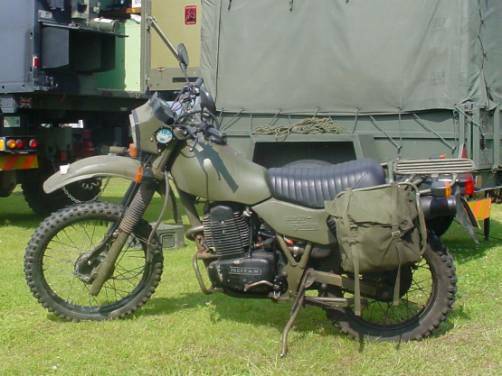 CCM ARMSTRONG Motorcycles of Bolton Lancashire manufactured the Armstrong MT500 for the MoD Contract No.FVE23B1680 from 1985 to 1987. Over 2000 units were supplied to the British Forces for use in the UK , (including Northern Ireland ), West Germany , and Cyprus and in the Gulf. The Canadian and Jordanian forces also had similar specification bikes albeit in smaller numbers. Disposal of used MT500's by the MoD commenced as early as 1989, with the majority being replaced during 1994 to 1998. After the contract had been completed, the company, spare parts service etc. was sold to Harley-Davidson who continues to offer the bike in various specifications to various Forces throughout the world. 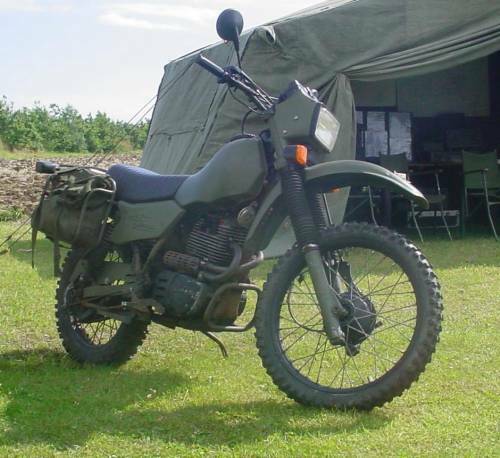 The replacement General Purpose Motorcycle chosen by the British government in 1993 was the Harley-Davidson MT350, which whilst not identical to the MT500, does share many parts with the earlier bike. Description: Dual-purpose on/off road bike.
. 485cc Four Stroke twin port single cylinder OHC engine with four valves.
. Bore & Stroke 89mm x 77.4mm.
. Power: 32 BHP @ 6200rpm.
. Torque; 38NM @ 5500rpm.
. Ignition: CDI electronic ignition, independent of Battery/Alternator system.
. Lubrication: Dry sump "oil in frame" with pressure feed through engine & gearbox.
. Washable primary & replaceable element secondary filters.
. Air Filtration system: Paper element.
. Carburettor: 30mm Amal as standard.
. Gearbox; 5 Speed constant mesh, pressure lubricated, with wet multi-plate clutch.
. Final Drive; 520 O Ring Chain.
. Battery: 12volt 5-amp hour.
. Other: Full Road lighting including Indicators, Brake lamp, Dashboard warning lights. Etc. All steel Frame and Swinging arm, with Taper roller head bearings and needle roller swinging arm bearings, the latter being grease able. Front engine protector bars, steel sump guard, folding foot pegs, main stand and side stand. Rear mounted rack with pannier frames fitted on either side. Marzocchi front suspension with Ohlins twin rear suspension units. Wheels:Akront Magnesium alloy rims; Front 21" Rear 18" With Metzeler Enduro tyres normally fitted as standard. Brakes: Sealed drum brakes front & rear. Bodywork: All heavy-duty plastic including seat base, side panels, headlamp cowling, front & rear mudguards, and air box. ·	0~60 mph in 9.5 sec. ·	Maximum speed approx 95 mph. ·	Cruising speed 70 mph. ·	Fuel Consumption: Approx 50~60 mpg. ·	Range: 120 miles approx. ·	Unlade weight: 160kg approx. ·	Fuel capacity: 12 litres. ·	Fuel type: Unleaded or Leaded. Kick-start, single seat, quick detach rear wheel, decompressor lever, manual cable choke, blackout switch on electrical system. Twin mirrors. Known history of "54 KE 11"